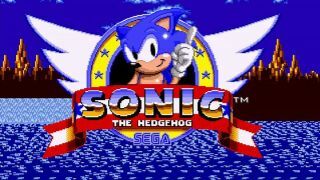 If you loved last year’s retro-inspired Sonic Mania game on Nintendo Switch, but were still longing for the Blue Blur of old, then Sega just made you very, very happy. The company announced that its ‘Sega Ages’ line of retro game revivals from the Sega Genesis (or Mega Drive), Master System and arcade eras would be headed for Nintendo’s portable console. Sega made the announcement during a recent fan event, only today confirming a wider western release, Polygon reports, with none other than the first-ever Sonic the Hedgehog leading the first wave of such ‘Ages’ games when they land in Japan, North America and Europe this summer – so, any time after June 21 – likely for digital purchase. Joining Sega’s leading mascot will be Phantasy Star, Thunder Force 4, Alex Kidd in Miracle World and the original arcade version of Gain Ground. The latter of which was a Sega arcade game first released in 1988 that’s similar to classics like Jackal and Contra. Retro gaming fans will be particularly pleased to know that Studio M2, the developers responsible for several previous Sega re-releases, will be leading the charge on this project. So, expect to see pixel-perfect versions of these iconic games on your Switch. According to Polygon, more than 15 classic games will be released for Nintendo Switch through the Sega Ages program starting summer. This news comes following the announcement of a Sega Genesis Mini – though only shown in a shell reminiscent of the Mega Drive version released in Japan and Europe. Clearly, Sega looks to emulate Nintendo’s wild success with its NES Classic Mini and SNES Classic Mini consoles released over the past two years. However, launching many of the same games that would be found on said miniature console through Nintendo Switch is doubling down. Frankly, that seems to be the point. Since exiting the games industry as a hardware producer nearly 20 years ago, Sega has long relied on stoking the flames of nostalgia to both please its longtime fans and line its coffers. Will Sega’s efforts have similarly successful results to what Nintendo has enjoyed? While not on the same scale likely, it’s hard to see either of these efforts not doing well. That said, we have just one question: what does this move – and others like it from companies such as Capcom and SNK – mean for the prospects of a Virtual Console on Nintendo Switch? We can’t help but feel as if we’re getting farther and farther from the answer we want to hear with each of these announcements. Which of these will be added to the best Nintendo Switch games?